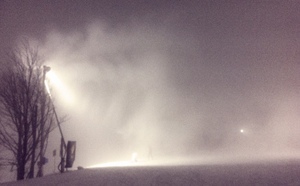 Is it snowing in Blue Mountain ?Tack! 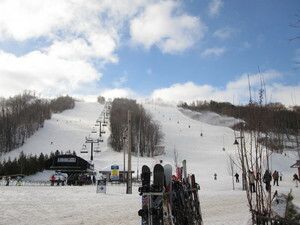 Blue Mountain in Canada (Ontario) is a large resort with 13 lifts (11 chair lifts, 2 surface lifts) but it only has 220 metres (722 feet) of vertical descent. 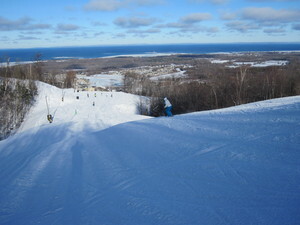 Blue Mountain has 34 trails. 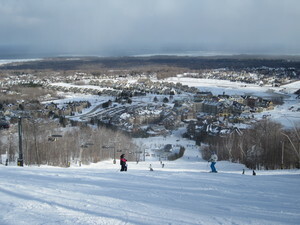 Blue Mountain is best suited to intermediate skiers and snowboarders but there is some terrain for beginners and advanced skiers. We have no information about the existence of any cross country ski trails at Blue Mountain. 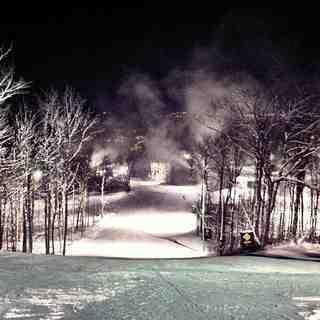 For snowboarders, there are 2 terrain parks and 3 half pipes. 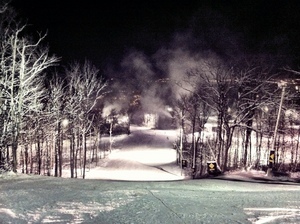 All of the trails at Blue Mountain are covered by snowmaking. The nearest airport is at Toronto and the nearest train station to Blue Mountain is at Toronto. There is accommodation located close to the pistes but we would welcome additional information about any hotels or chalets in Blue Mountain. Lovely resort. The runs are a bit short but the snow is divine. Intermediates will love all the reds. 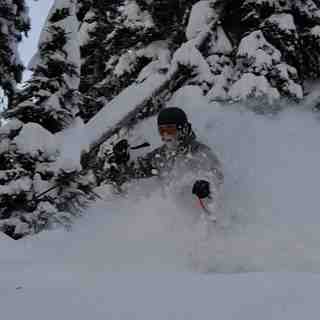 However experienced skiers will not find very much to challenge them! A great resort for a few days skiing. We stayed over New Year for four days and had a wonderful time.